Machiavelli The Prince by Lorenzo Raveggi. Italian cinema has a rich history and has been in the movie making game from its inception. We interviewed Italian director Lorenzo Raveggi about his ambitious project of bringing 2 movies to life set in 15th century Florence. Raveggi, a Florentine himself, was excited to bring 2 of the most famous Florentines in Italian history to the big screen. Raveggi’s fascinated by Italian history and released a historical short in 2014, Le Gialle Viole di Santa Fina (The Yellow Violets of Santa Fina) . His first film is a biography about the “father of modern politics”, Niccolò Machiavelli, Niccolò Machiavelli: Prince of Politics. The second film is still in production but shaping up to be a murder mystery. It follows the story of famous Italian Renaissance painter Sandro Botticelli, after he is accused of murder while under the patronage of Lorenzo “il Magnifico” de’ Medici. The Secret of Botticelli, has a modern day Professor, Dr. Carla Renzi, played by up-and-coming American-Italian actress, Eve Mauro, (Sorority Party Massacre , The Chaos Experiment ) trying to solve a 500 year old whodunit. Although there are no records indicating that Botticelli was accused of murder during his time with the Medicis, the tale still makes for an interesting spin on the painter’s life. 1. You have two new movies about to be released, The Secret of Botticelli and Niccolò Machiavelli: Prince of Politics, both movies set are in the Quattrocento, in Florence, Italy. Why were you were drawn to this this period in Italian history? Since I was a child I’ve loved history, chivalry, the Middle Ages, and the Renaissance. I loved building stories, especially romance stories, and I wanted to study them as much as possible. I love to create a lot, and I enjoy creating fiction from real stories about great historical figures like Niccolò Machiavelli or Sandro Botticelli. 2. When do you anticipate the the two films will be released? Hopefully, all these movies will be released and distributed between 2016 and 2017 at the latest. 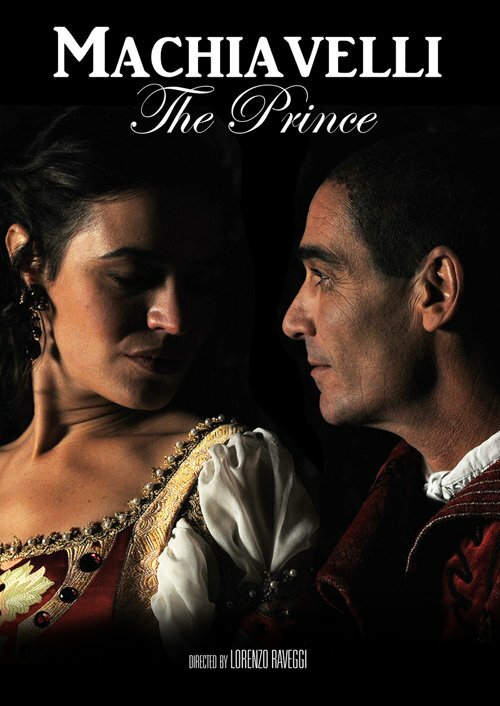 As for Niccolò Machiavelli, Prince of Politics, it will be released first in Italy on television. As for The Secret of Botticelli, I am in the middle of talks with distributions that will guarantee to me a budget to starting producing the movie. 3. Part of a film maker’s process is to blend history and fiction. Botticelli had close ties to the Medici family during this height of his career, what gave you the idea to create a murder mystery involving Sandro Botticelli and the Medicis? 3. Botticelli was bound to the Medici family. He positioned himself near this Florentine artistic power. Around this power evolved a mystery. Botticelli was also very close to beautiful and intelligent women like Simonetta Vespucci, and Lucrezia de’ Medici. Mysterious things happened around these beautiful and fantastic women. In this story, I tried to create situations that merged Renaissance lives with such mysteries. 4. What sparked your interest in creating a movie about the life of Niccolò Machiavelli? Niccolò Machiavelli is one of the most difficult, particular, and modern people (even if he lived during the most important period of the Florentine and European Renaissance) in the world. It is incredible to think that he wrote, “The Prince” and it’s still used today as a reference for individual success or political group achievement etc…Machiavelli was on of the most important people of modern politics. I am the first person to write a real feature on him. 5. What were some of the challenges in producing two films at the same time? The challenge is to create a sort of “re-birth” of this period of our (Italian) history. I think it is important that people, our friends, and society today can dream about re-creating our origins. All of us have to think that even if we are in 2015, we have our predecessors to thank for all these wonderful things. My dream is to give to our wonderful Italian history a re-birth, a new Renaissance through fiction, through this wonderful means that is cinema or television. 6. How do you think a film maker balances historical accuracy with creating a film that is appealing to audiences? It’s not simple to build something about Italian history that can attract the masses. Sometimes the results are very difficult, but I think people want to dream and a good screen writer, and a good director, need to make people dream. 7. What are the challenges and advantages of making a film set in Renaissance Italy? Italy has many wonderful sets to satisfy a movie production crew, director, and the actors. Florence is called the “Renaissance Cradle” so I’d like to transform my town into a great set to give it a re-birth for wonderful characters such as Niccolò Machiavelli and Sandro Botticelli. Raveggi’s passion for Florence doesn’t stop here, he also has a third film in the works on Florentine explorer, Amerigo Vespucci’s landfall in Brazil. Vespucci also worked for the Medici, and was the first navigator to coin the term “The New World”. This film will be released in 2017.